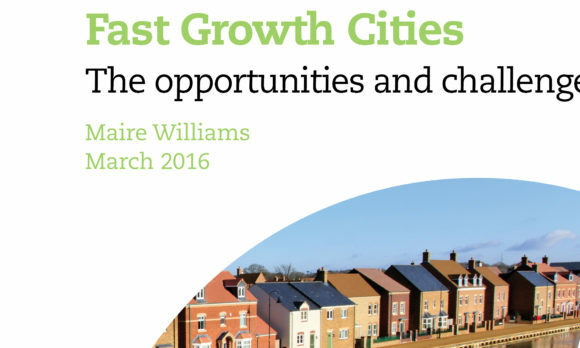 How can the Fast Growth Cities Group make the most effective contribution to national economic growth strategies? Fast Growth Cities and Centre for Cities are working in partnership to host a senior-level stakeholder event to discuss how the industrial strategy in these cities can be harnessed to make the most of their strengths, and make a wide-reaching national economic impact. The Fast Growth Cities contributed an average of £57,000 in GVA per worker in 2014; £3,000 more than the British average. But their sustained success relies on policy that enables them to continue to improve infrastructure, provide housing and support the people and business environments that grow in these places, including a globally-competitive innovation corridor between Oxford and Cambridge. The Industrial Strategy in particular will be integral to continuing on this path. This event will be an opportunity to discuss exactly what this means, and what this should look like across the Fast Growth Cities. The event will be chaired by Andrew Carter, Chief Executive of Centre for Cities and will be attended by the leaders of the five Fast Growth Cities – Cambridge, Oxford, Milton Keynes, Norwich and Swindon. This is a small, private event intended for senior-level national stakeholders from Whitehall, housing, infrastructure and utilities services, as well as business representatives from the cities. If you are interested in learning more, please contact Rita Beden. In partnership with the Fast Growth Cities group.